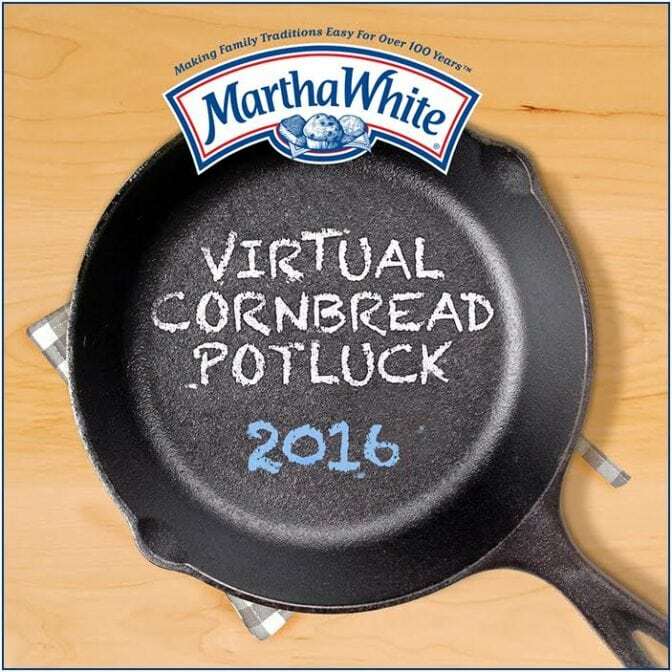 I’m super excited to once again be a part of Martha White’s Virtual Cornbread Potluck to celebrate the National Cornbread Festival, April 23 & 24, 2016! I’ll once again be serving as a judge for the National Cornbread Cook-off! It’s always a highlight of my spring! A bunch of my blogger friends and I have joined together to host the 2016 Virtual Cornbread Potluck to celebrate! We’ve all got some amazing cornbread-themed recipes to share with you. Be sure to check them all out! 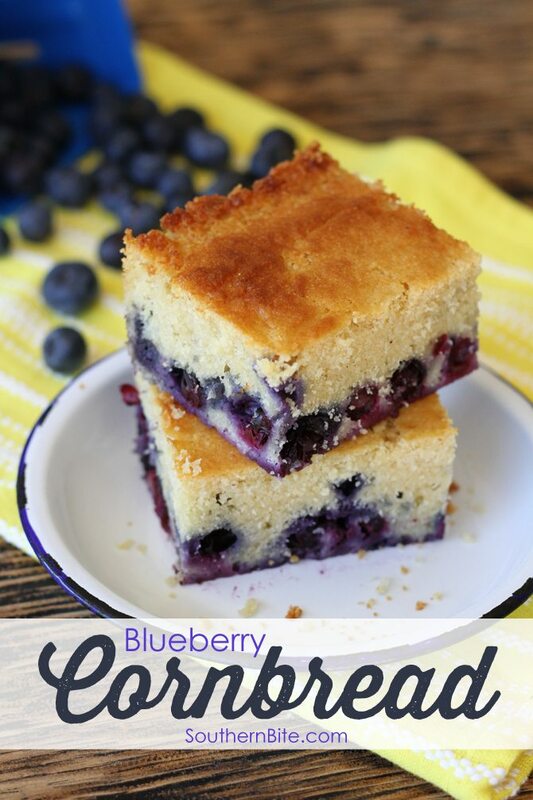 And of course, I’m sharing my brand new Blueberry Cornbread! There’s a grocery store here that make the most incredible blueberry cornbread, so I set out to recreate it. I like to use fresh berries for this, but frozen will work just as well. 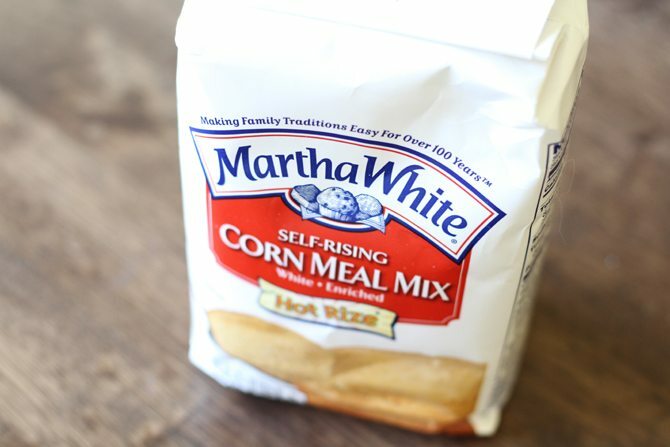 Of course, you’ve got to have Martha White self-rising cornmeal! To start, preheat the oven to 350°F and lightly spray an 8×8-inch baking pan with nonstick cooking spray. 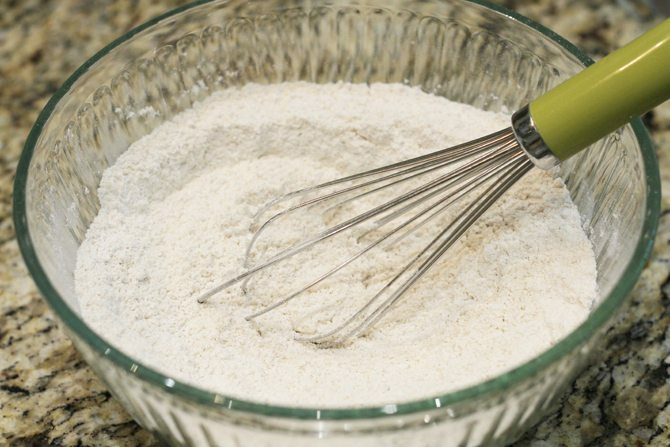 In a medium bowl, whisk your dry ingredients together. In another bowl, mix the eggs, milk, and vanilla together. Then combined the two and add the melted butter. Mix well. Then fold in the blueberries. Pour the batter into the prepared pan and bake for 35 to 40 minutes to until set and golden brown. I love this stuff warm for breakfast or even with a scoop of ice cream for dessert! If you get a chance to join us for the Cornbread Festival, be sure to say hello! I’d love to hug your neck! 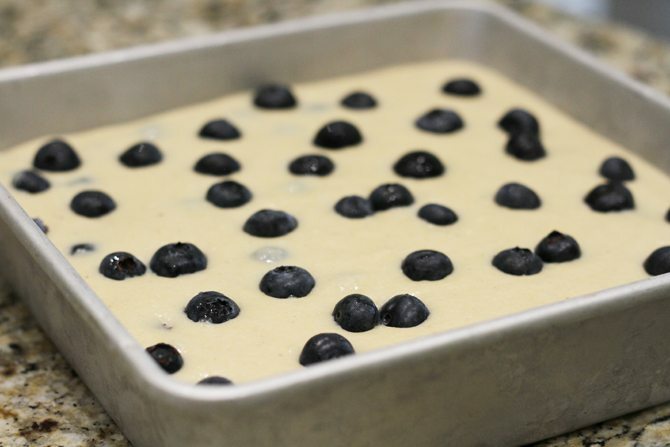 Preheat the oven to 350°F and lightly spray an 8x8-inch baking pan with nonstick cooking spray. 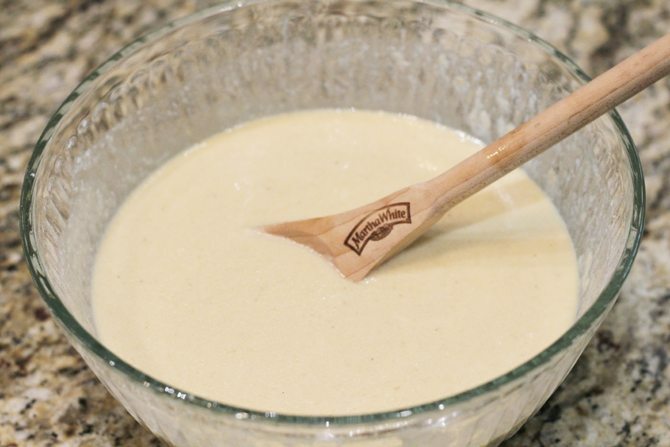 In a medium bowl, whisk together the cornmeal, flour, and sugar. In another bowl, whisk the eggs, milk, and vanilla together. Pour the wet ingredients into the dry and mix well. Add the melted butter and stir well. Gently fold in the blueberries. Pour the batter into the prepared pan (sprinkling a few extra berries on top, if you wish) and bake for 35 to 40 minutes or until set and golden brown. This post is sponsored by Martha White and the JM Smucker Company. The opinions herein are my own. Plus, my family has been using Martha White products for generations, so I’d be saying good things about it even if they weren’t paying me. Stacey, 2 of my favorite things in 1 bite. Looks delish! I’ve been told I was genius… but I won’t go there. 🙂 LOL! Thanks!! What beautiful cornbread!! Love all of those blueberries!! Stacey you have done it now. 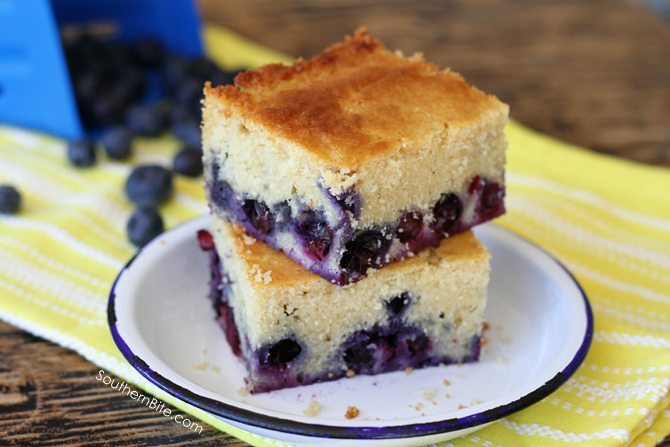 Lawrdy that looks so good, and all those blueberries. What a perfect combination. Looks crazy good! Blueberries are my all-time favorite fruit. I’ve never thought to add them to cornbread. I bet some syrup would put this over the top! That sounds amazing!! What a great idea! I made this recipe today but I added sour cream and honey. Delicious and tender. Awesome! So glad it turned out great for you! Oh My Goodness! This is a must try for sure and I had share it with my mother too. 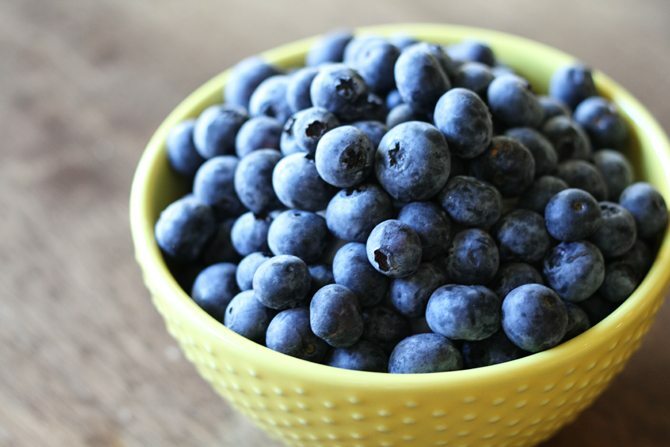 Her great grand babies love blueberries and she loves cooking for them! It’s so good! Hope y’all will enjoy it! 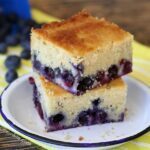 Two things I totally love: blueberries & cornbread! This looks so good!